I don't really like spiral-bound notebooks. I don't really like lined paper. Yet, the Clairefontaine Classic Wirebound Notebook plays a key supporting role in my notebook rotation. When I was in the throes of my penmanship boot camp, I was moving through practice paper at a brisk pace. I decided to invest in a no frills notebook that would allow me to use both sides of each page comfortably without needing to "rip and flip" from my Rhodia Dot Pad constantly. 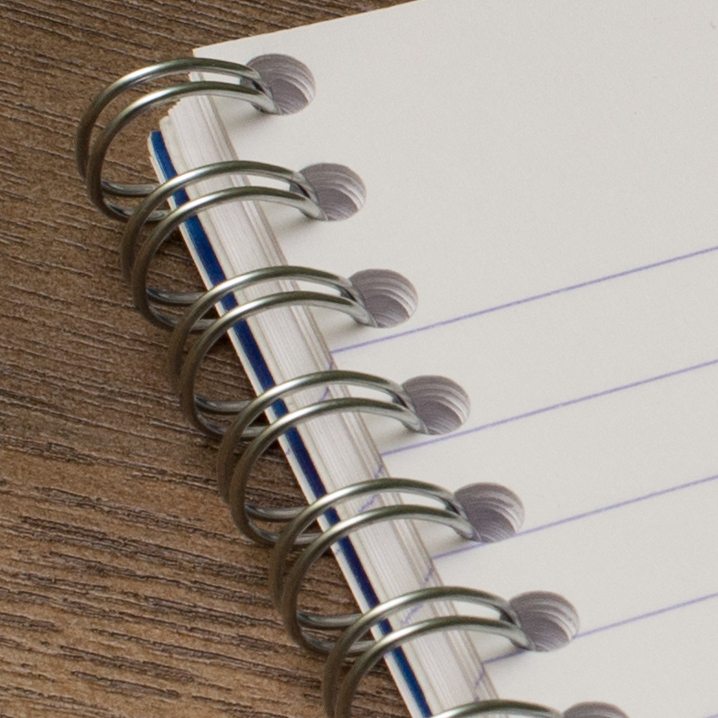 I saw the Clairefontaine Classic Wirebound as a great way to hang on to the buttery Clairfontaine goodness of my Dot Pad even as I transitioned to a lined practice notebook format. I picked up an A4-sized (8.25in x 11.75in) book from Goulet Pens. 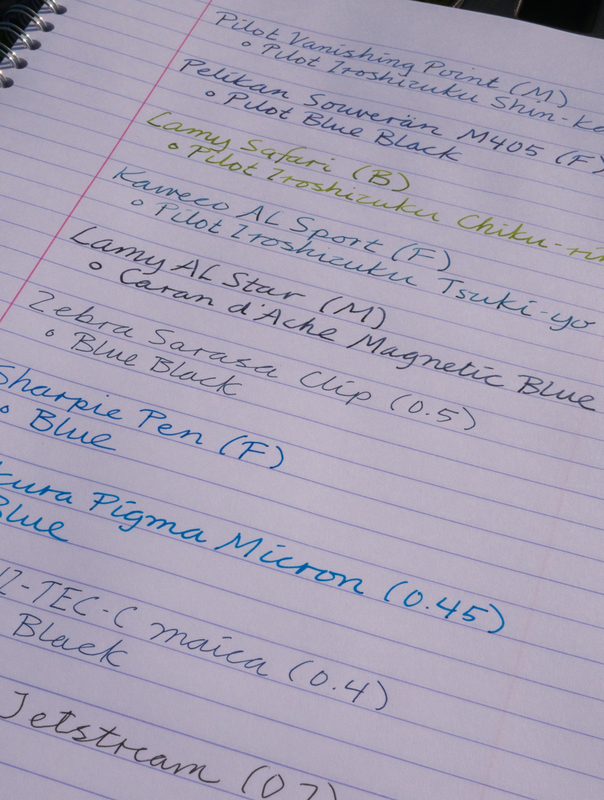 Goulet assigns book colors at random, but I did reasonably well in the color lottery with the receipt of a blue book. The cover features the same color weave pattern that is seen elsewhere in the Clairfontaine Classic product family. It would fit in better in a high school classroom than in a business meeting, but it was fine for my use as a home practice book. As you might expect from a Clairfontaine product, the Classic Wirebound feels like a well-made product. It has a soft cover with some flex to it, but it has held up well. The double-wire spiral binding is solid and unlikely to bend or snag clothing. The book includes 50 sheets (100 pages) of 90 gsm paper with a very smooth texture. I opted for the lined paper option (8 mm with margin), but Goulet also carries grid and french rule versions of the same book. 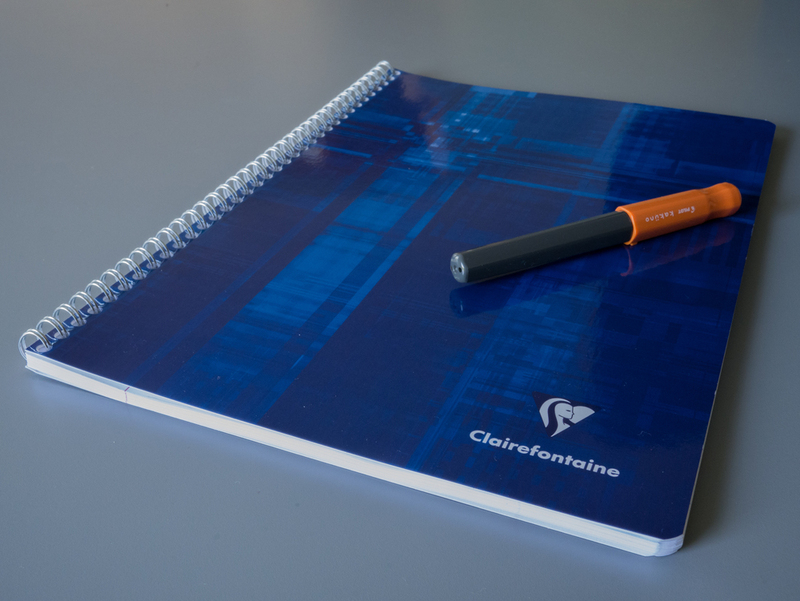 The main attraction with Clairfontaine notebooks is the paper performance, and the Classic Wirebound exceeded my already high expectations. I was hoping for a rough equivalent to Rhodia Dot Pad performance, but I actually found the Classic Wirebound to be even smoother to my touch than the Dot Pad. I also found the paper to be very versatile as I threw different pen and ink combinations at it. Using Dot Pads, I'll very occasionally hit a pen and/or ink that doesn't play particularly well. I haven't experienced this at all with the Clairfontaine Classic Wirebound. I feel like every ink puts its best foot forward on this paper. There is little ghosting to speak of, and I am able to use both sides of each page with ease. Dry time is a bit on the long side. Since I'm generally not doing a lot of opening, closing, and flipping around with this book, it hasn't been an issue for me. Goulet prices the Clairfontaine Classic Wirebound at $5.50, which is a good value to dip a toe in the water with some nice, fountain pen friendly paper. However, as an informal notebook to use while having a play with my fountain pen collection, the Clairfontaine Classic Wirebound hits the mark well.